The Mythos is the iconic and versatile climbing shoe that does everything and fits everyone. 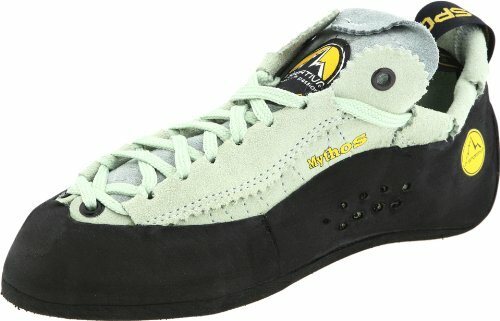 This is the perfect shoe for crack climbing with its low profile toes and the overall neutral, round shape of the shoe. It over-performs from the training wall to extended multi-pitch climbs, without sacrificing comfort. Your feet will thank you. RUGGED BUILD - This indoor / outdoor climbing shoe is constructed from high quality materials; 1.1mm full-length LaspoFlex midsole and 4mm Vibram XS Grip2 sole make the Mythos as stable as it is durable; Weight of 8.29 oz.